The OpenSimulator Community Conference 2017 Call for Proposals is now open! The OpenSimulator Community Conference 2017 wants everyone to know what is exciting about our favorite social 3D platform. We are looking for those individuals or groups on the forefront who are shaping the Metaverse, hosting exciting activities, and changing the game. This year’s conference will focus on the visions for the future and the evolution of the platform. The conference features a concentrated series of talks on December 9th-10th on the main stage featuring Creative, Education, Technical, and Experiential topics. September 12, 2017 – Announcement of the Call for Proposals! October 19, 2017 – Proposals are due by 11:59 PM PST (Pacific Standard Time). October 23, 2017 – Proposal acceptance emails and with conference information. October 29, 2017 – Accepted speakers must register for the conference to create an entry in the conference schedule and the program. November 11, 2017 – Speaker Orientation & Training sessions and Presenter Booth Setup to prepare speakers for the conference. November 18, 2017 – Deadline for stage props and audio-visuals (beyond textures) for conference program. December 9-10, 2017 – OSCC17 – Conference dates – Bring the WOWness! December 10, 2017 – OSCC Hypergrid tour and community events. AvaCon is pleased to announce the fifth annual OpenSimulator Community Conference 2017, to take place virtually on the OpenSimulator Conference Center grid on December 9-10, 2017. The OpenSimulator Community Conference is an annual conference that focuses on the developer and user community surrounding the OpenSimulator software. 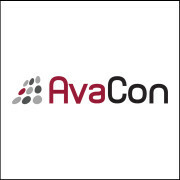 Organized as a joint production by Core Developers of OpenSimulator and AvaCon, this year’s conference will focus on the latest software release, visions for the future, and technologies or content today that are shaping the future of the platform. The OpenSimulator Community Conference 2017 features a series of dynamic short presentations, panels, performances, and workshops that spotlight the best of the OpenSimulator platform and community. Those wishing to financially support the conference have several options, including the opportunity to participate in a Crowdfunding Campaign when registering to raise small dollar amounts that will be used to help cover grid, web hosting, and streaming services for the conference. Participants in the Crowdfunding Campaign will receive a variety of thank you gifts depending upon their level of participation, and event sponsors will have options for promotional activities and participation in creating content for the conference grid. We hope to be able to accommodate over 400 users in total, a figure which includes speakers, sponsors, and staff. Since seats are limited, registration will be on a first-come-first-served basis until the maximum number of virtual conference center tickets is reached. At that point, community members will still be able to register for the live streamed version of the conference that will be available. We will have more information and details about the conference schedule and registration, and we look forward to seeing the wide range of projects, presentations, and other activities of the OpenSimulator community. We invite you to submit a proposal, sign up to volunteer, or sponsor this year’s event. Thanks for your interest and support, with more to come! Visit OSCC Expo Zone 2 for the HyperGrid Tours & Resources section of the conference. There you will find step by step help on how to HyperGrid if you aren’t familiar with jumping from one OpenSimulator grid to another grid world, as well as helpful website links, and a curated collection of HyperGrid landmarks for those more experienced to explore the interconnected OpenSimulator metaverse. Conference attendees can use these resources to go on a guided tour of several OpenSimulator grid location that offer up amazing creations and experiences.